Today's topic: The American Idol performance that inspired Lancaster House! To read yesterday's post about, "What inspired me to write a paranormal romance?" Click here! Now to get to the tidbit you’ve all been waiting for! 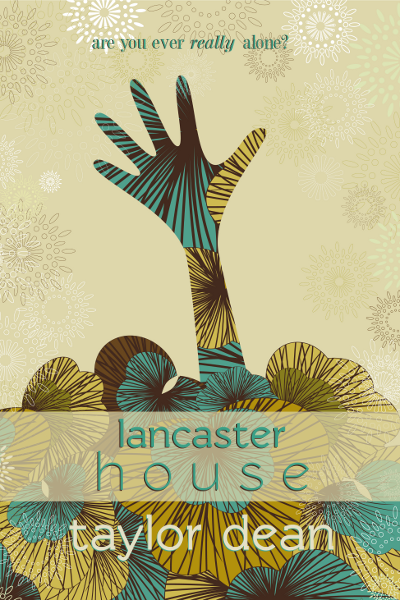 How the heck did an American Idol performance inspire Lancaster House? Good question. I’m not really sure myself, but somehow the visual kicked my imagination into overdrive. Season 8 of American Idol blew me away. I thought Adam Lambert was amazing in every single performance. During the finale, Adam once again sang his haunting rendition of ‘Mad World.’ Even my husband was impressed by this performance, and that’s saying a lot because he isn’t usually impressed by singing performances. 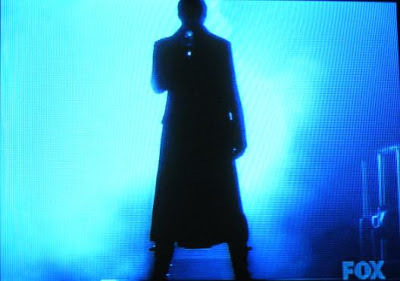 (Ever) Adam performed while wearing vampire-like garb on a fog-shrouded stage. This link is a very poor video of the performance. I couldn't find another one and I'm surprised that there are not more links to it. I own a perfect copy of it that I purchased through iTunes. I watched it umpteen times as I wrote Lancaster House. It’s a haunting performance—like Twilight, the Musical or something! I remember saying to my daughter, “Now that’s how I pictured Edward.” My daughter, a book-a-holic, immediately corrected me. “That’s not how Edward is described at all, Mom.” She was right and I knew it, but I have this nasty habit of picturing the hero of the story the way I want to picture him, no matter how the author describes him. Adam wasn’t Edward. Not by a long shot. But, he was how I pictured Edward. There was only one thing to do. The visual of Adam rising up out of the stage amidst fog and then pausing before he began to sing, the way his movements were slow and dreamlike—all of it left me intrigued. It screamed paranormal story. What if a man appeared in my home looking like that? (sans the microphone!) What if he was a ghost? I would be scared and fascinated all at the same time. It was at that moment that Lancaster House was born. It wasn’t quite that easy, of course. My hubby and I spent an entire car drive to Idaho (driving our daughter to college) hashing out all of the details of the story. By the time we arrived home, I had my story in my mind, beginning to finish. And it was all due to one amazing performance sparking my imagination. This was originally posted during a book tour at I'm a Reader, Not a Writer. Thanks, Christy! I can't even begin to tell you how happy I am that you loved Lancaster House and The Middle Aisle! Thanks for your comment! Very interesting! I always wondered why you choose the long trench coat and black boots. I liked it in the story but it makes complete sense now that you told us your inspiration :) I love where you went with what you saw! Keep them coming!! Thank you, Vanessa! I'm glad you enjoyed reading about my inspiration for Lancaster House. Kinda crazy that one visual can inspire an entire novel! Thanks for visiting my blog!